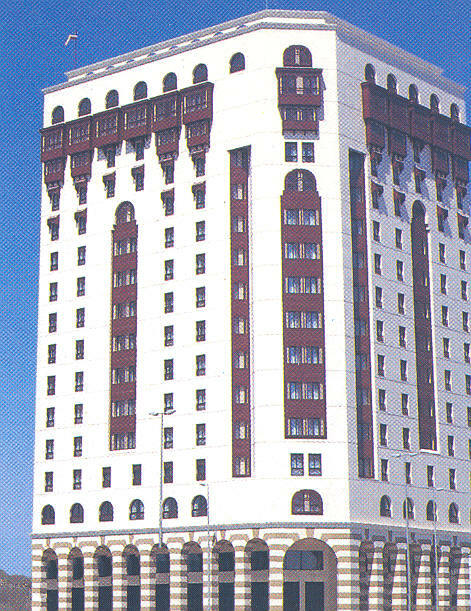 A modern multi storey building featuring 227 deluxe rooms and suites, with most of them overlooking the Al Haram Al Nabawi Rooms: Nicely decorated single and double rooms; designed and furnished in modern style. 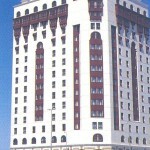 Adjacent to Masjid Al Nabawi and in the heart of the shopping central district. 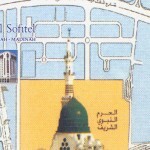 Approximately 15km from Madinah Airport. Al Andalus: The Main Restaurant offers a selection of International, Asian and Arabian cuisine. Al Hambra: The coffee shop, informal serving traditional hot beverages, refreshments, vast variety of French pastries and delicious light snacks, in Gracious Andalous style, open 24 hours. Fully Air-conditioned . 24 Hrs Room Service. Direct Dial telephone in all rooms. 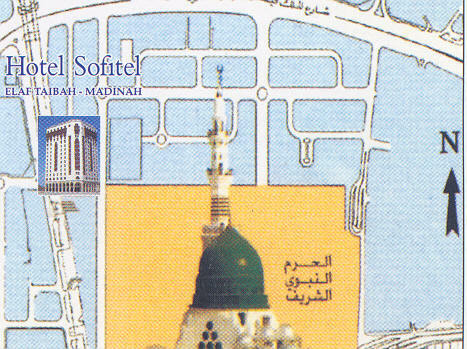 Direct Access to Holy Mosque. 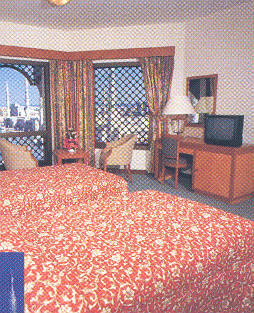 Television and mini fridges in all rooms. Electronic door locks. Limousine service. Laundry and valet service. Safe deposit box (free of charge). Electric power 220V. Business facilities/ Internet. Free underground parking facility. 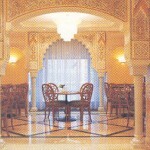 All major credit cards are accepted (American express, Visa, MasterCard & Diners club).